Furnace Services | Fresh Air, L.P. 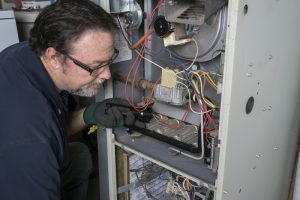 When it comes to today’s gas furnaces, you don’t need to worry too much about safety or about unexpected repair needs, so long as you have that furnace not only professionally installed, but properly maintained, as well. Doing so will help you relax during the winter as you’ll have a peace of mind that your heating system is well cared for. Our winters may be brief but they can definitely get chilly, and you need expert Sugar Land, TX furnace services to ensure that you stay comfortable. Let’s say you skipped maintenance though. Or, perhaps you have an aging furnace. Well, then, unfortunately you are at a bit of a risk for an unexpected furnace repair need. You can call on us if this occurs, but in the meantime, we want to go over a few common repairs we get called for so you can be well prepared.